The exhibition Cosplayer ! - Manga Youth tells how Japanese popular culture is created , shaped and recreated across physical and visual boundaries between Japan and Denmark . In the exhibition you will meet three Danish and three Japanese cosplayers who in their own way transcends the borders between industry and consumer , media and human , Japanese and Danish - and create their own media worlds. And you 're invited to play! Cosplay is short for costume ( costume " ) and play ( play ) . In the exhibition you can try Denmark's only Purikura - photo machine . Read more about Cosplay and cosplayers ! 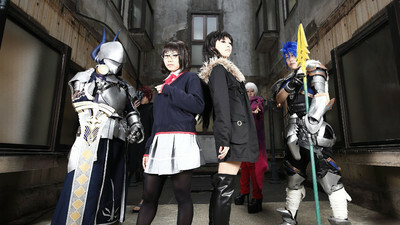 Do you want to know more about Cosplay? Read more and watch pictures and video here.